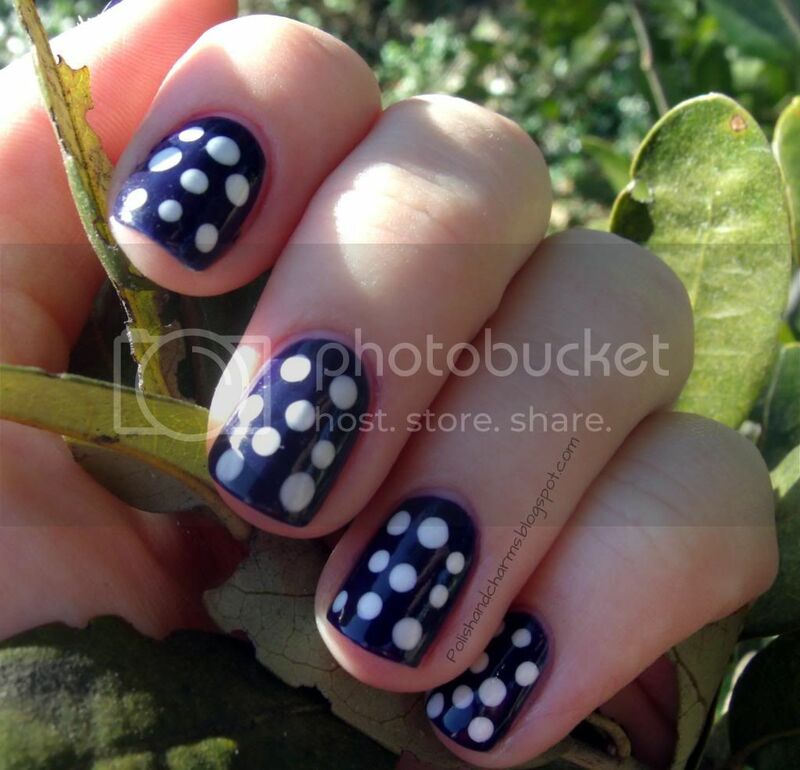 Polish and Charms: More Polka Dots! Hello! Quick post, I have more polka dots! This is Revlon Urban with some white polka dots. Enjoy!! 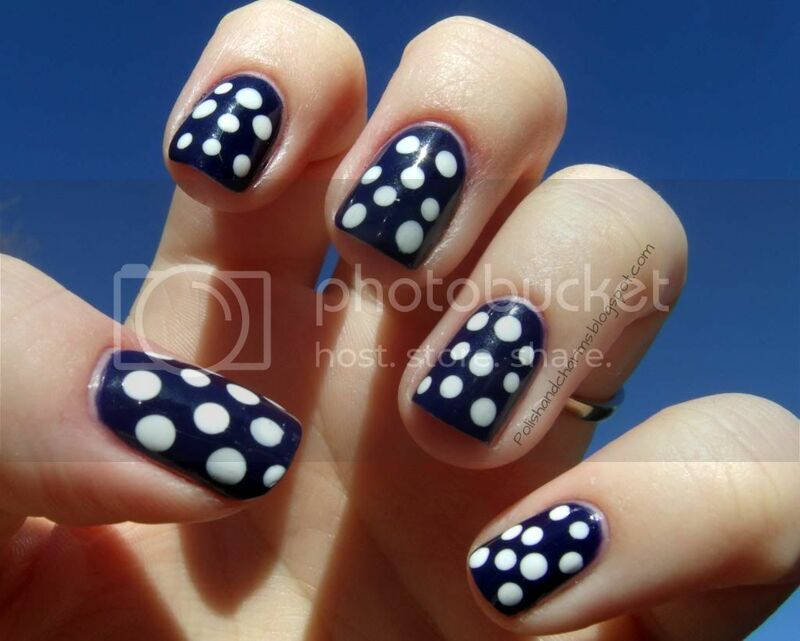 Woooha - what a gorgeous combo - I love polka dots - keep 'em coming!! Oh cute! 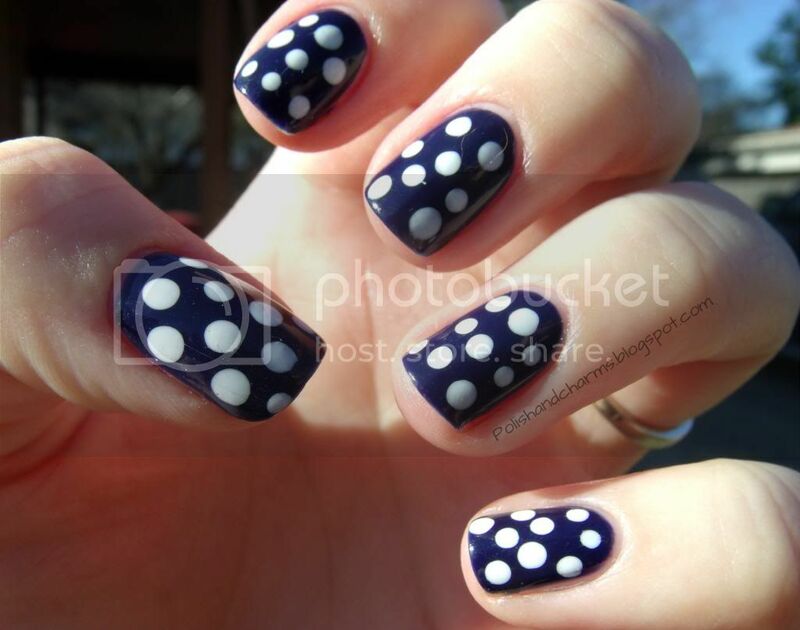 I always love classic white polka dots! Oooh I just picked up Urban today and I love the way it looks on you. It's blue but not like navy it almost leans violet. The dots are cute. Cute! I can't get over how pretty Urban is! i'm loving the polka dots! Thank you! Revlon has really been putting out some awesome colors lately! I love how Spring-y this looks! This is so cute!! :D Very pretty! I am behind in my reading-forgive me Mere! Here's the dot mani you were telling me about! I LOVE it! !